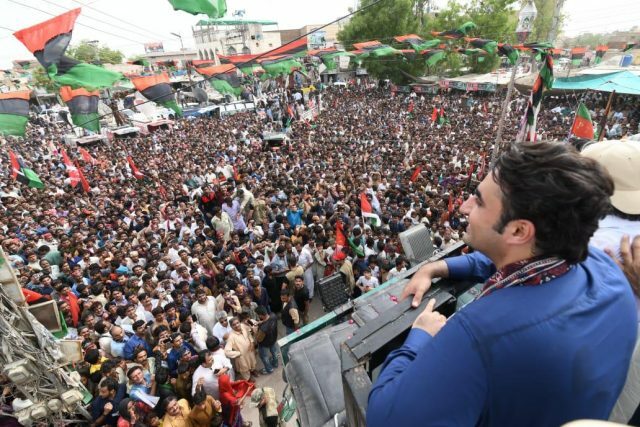 Pakistan People’s Party Chairperson Bilawal Bhutto-Zardari continued his ‘Karachi to Khyber’ election campaign with another eventful day on Wednesday. 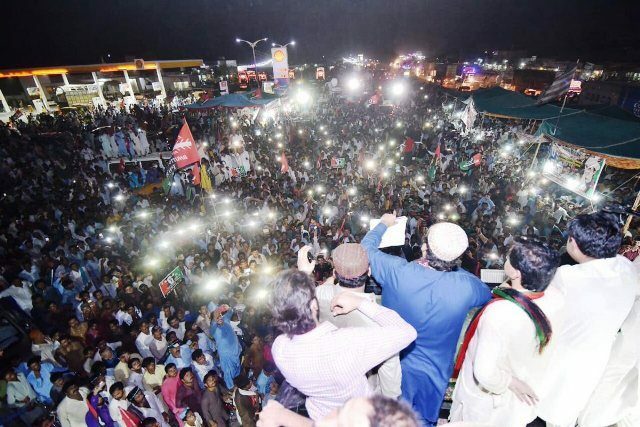 On the third day, Bilawal Bhutto resumed the election caravan from Nawabshah, accompanied by senior party leaders and a large number of workers. The procession reached Noushehro Feroze in the night after passing through Sakrand, Qazi Ahmed and Moro where the PPP leader addressed a good number of his supporters at roadside camps. He was accompanied by former CMs Qaim Ali Shah, Murad Ali Shah, Nasir Shah, Waqar Mehdi, Syed Ghulam Mustafa Shah, Ghulam Qadir Chandio and other leaders. The PPP chairman will end his day in Sukkur later tonight after stopover at Ranipur and Pir Jo Goth. PPP supporters welcomed Bilawal with “Na Pir jo, Na Mir jo, Vote Benazir jo” (Not any Pir’s, Not any Mir’s, our vote is only Benazir’s) slogans everywhere he went. 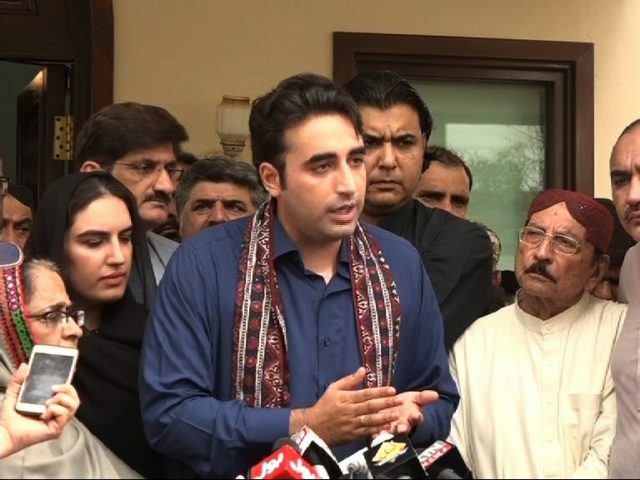 Bilawal said he is being challenged by political parties that have not even presented their party manifestos so far. “How can Taliban Khan and the one who is asking why he was ousted contest against us?” said Bilawal Bhutto, and vowed to fulfill his election promises. He also criticised the Judiciary for meddling in the domain of elected governments. He said PPP government in Sindh had built many small dams. Chairman PPP said boycotting or delaying the elections is not an answer to any problem as such measures would only weaken the democratic process in the country. "Just as PPP gave Benazir Income Support Programme, we pledge to give Peoples Poverty Reduction Programme to Pakistan," he said.